That said, if you or a loved one is searching for an assisted living community, keep in mind that while many assisted living communities are similar in the kinds of amenities and services they offer, there are also differences. Some of the main differences involve the level of care provided to residents and whether that care is included in the basic monthly fee or if it is provided for an additional charge each month. It’s important to understand how those additional charges are determined and this article at Caring.com is a good overview. At many assisted living communities, including Daystar Retirement Village, residents pay a base monthly fee that covers the cost of the apartment, utilities, housekeeping services, a meal plan, a daily activity program and special events, and regular check-ins to make sure the resident is healthy and safe. That level of care is great for a resident who is essentially independent, but wants or needs help with meal preparation and enjoys the companionship and daily activities that assisted living offers. But, once residents start needed help with activities of daily living (ADL’s) the cost of care can get complicated, so it is important to understand the pricing structure before you sign an agreement. Important questions to ask include what care, if any, is included in the base monthly fee? Do residents pay separately for each type of assistance, or does the facility use a tiered system with three or four levels of care, from minimal assistance to extensive? Although the components of each level of care vary from facility to facility, there are some basic guidelines. Many facilities use a point system to determine a resident's required level of care. Residents who require some level of direct, hands-on assistance with one or more activities of daily living are assessed prior to moving into the facility. In assessing the level of care required, two general factors are considered. First, if the person is physically able to perform the task, for instance, buttoning or zipping clothes, and secondly, if the resident would remember to perform the task if not reminded to, for instance, brushing teeth or getting to meals. 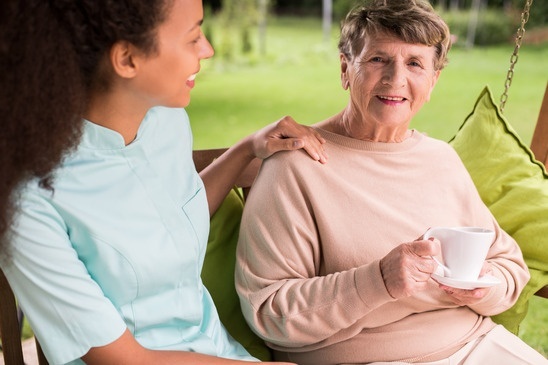 In general, these are the types of activities that will determine the level of care a resident requires: Bathing, getting dressed or undressed, grooming (including brushing teeth and shaving if necessary), getting to and from meals, continence and medication management. Again, every retirement community has a slightly different system for providing care to its residents and it’s important to ask questions upfront so there are no surprises later. For more information about the different levels of care, visit Payingforseniorcare.com.